Suvik’s service quality mission is to offer reliable, high performance, cost effective solutions and support the solutions with the best personalized service in industry, paving the way for a long lasting business relationship with clients. Suvik provides many services few of them listed below offering 24*7 service support. The blending makes us unique company offering total service solutions. The pan India presence of engineers helps Suvik to reduce the MTTR. The multi-location availability of engineers help in tracking, identifying and managing problems at remote locations also. Expert staff with industrial experience and technical knowledge ensure maintenance programs are coordinated, optimized and effective in achieving uptime requirement. Stocking of mission critical components at various locations enhance the response time for product to come online after the failure. This mechanism allows minimum downtime for the process. 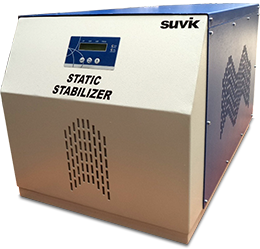 Suvik provide customers on site training so that they can provide first aid treatment to the equipments. This helps in case of minor problems to avoid the delay of putting the machine inline. Suvik believe in making customers self reliant so we provide them class room training at our works. This gives a detailed education on principles as well as functionality of product technology explaining "know-why".